The land of a thousand cultures. India has a vast variety of landforms: the Himalayas in the north, the Arabian sea in the west, the Bay of Bengal in the east, and the Indian ocean in the south. This means that there is a great variety of climate, vegetation and wildlife throughout India. 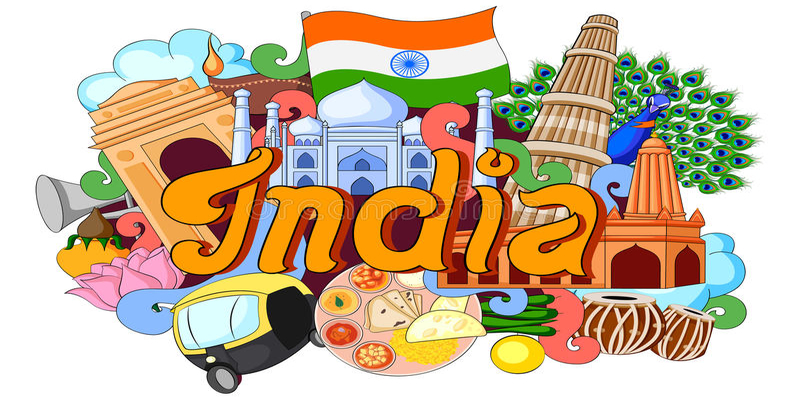 India is the second most populated with a population of hundred and twenty crore. It is a mixture of many languages and cultures and it is the unity in this tradition that binds the nation.